Well we are here, 6 April 2016. The new Law on Microchipping comes into effect today. What does it mean to you? From today (6 April 2016), all puppies and dogs have to be microchipped by the time they are 8 weeks old with the keeper’s details recorded on an appropriate database. If you have a dog that is not microchipped OR your details are not up to date on the database (e.g. address/keeper/phone number) then you are liable for a fine of £500. You will have 21 days to either microchip your dog or update your details before a fine is issued. Microchipping your dog will not prevent your animal from going missing or being stolen, but it vastly improve your chances of having your animal reunited with you if it is picked up and passed to a dog warden/vet who can then look up your details and call you to give you the good news that your dog has been found. Remember the law states that dog wardens/police are only obliged to give you 7 days notice before they can put your dog to sleep, so if your details are not up to date, this is a possibility, and the reason it is now law to keep your details correct on the database. Please also remember it is also law for all dogs to have a name tag with the keeper’s name and address on it. This has not changed with the new microchipping law. 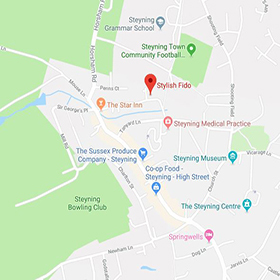 If you live in Steyning and need to have your dog microchipped asap, then contact me, as I am a registered microchip implanter, and will register your dog (or cat) on the Petlog database.